There have been new calls for a truth commission in the north of Ireland following confirmation that one of the North’s deadliest terrorists was a police agent. After decades of cover-up, solid evidence finally emerged this week that UVF paramilitary commander Robin ‘the Jackal’ Jackson was working in tandem with RUC Special Branch police as far back as 1975. A new report on the Miami Showband murders, which was released on Wednesday, found that Jackson had been tipped off by the RUC that his fingerprints had been found on a silencer attached to a Luger pistol used in the killings. in the early morning of 31 July 1975, ‘the Jackal’ and four locally-recruited UDR British soldiers launched a combined gun and bomb attack on the highly popular Dublin-based showband as it was driving towards the border, killing three band members and injuring another two. 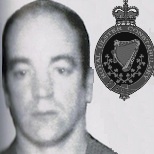 Jackson was previously named as a key figure in the ‘Glenanne gang’, a death squad of loyalists reputedly operated by the British Crown forces and which involved the direct participation of both the RUC and the UDR. The gang, whch wasnamed after the location of a County Armagh farm where they hid their weapons, has been linked to 87 killings by the Pat Finucane centre. As well as the Miami Showband killings, these include the Dublin and Monaghan bombings -- the deadliest attack of the conflict -- and the Reavey and O’Dowd killings. Many of these attacks have been affirmed by Glenanne gang member and RUC Special Patrol Group (SPG) officer John Weir, who made a sworn affidavit to the 2003 Barron investigation into the Dublin and Monaghan attacks. While Jackson held the position of commander of the UVF’s Mid-Ulster Brigade from July 1975 to the early 1990, it now appears certain he was working as an RUC Special Branch agent for much of that period. John Weir implicated Robin Jackson in a number of the Glennane gang’s killings and named him as having been a “key figure” in the gang. He was convicted only once (in 1981) -- for possession of an arms cache -- but was quickly released. He has since died from cancer. Commenting on the report, band member Des McAlea, who survived the attack, said the findings were “quite shocking” and “mind-blowing”. Europe’s most senior human rights figure has now called for the formation of a truth commission in the North to aid a healing process he believes is crucial for the future. Thomas Hammarberg, the Council of Europe’s Commissioner for Human Rights, first visited Ireland as an Amnesty International activist in 1971 following the introduction of Internment, made his comments in Belfast where he met representatives of government and voluntary agencies concerned with rights. He said that during his visit here he detected that there were still some scars from the conflict with some people telling him that they felt they had not been listened to. “Though it is positive to move forward, one cannot neglect the past because the two are connected,” he said.